November 13th in Kenmin no Hi- Ibaraki Prefecture Residents` Day- schools and kindergartens are out on that day- but special train-fares and discounts or free admission at numerous interesting venues make it easier to find a way to keep the you and family happily occupied- for little or no cost- see the listings below. 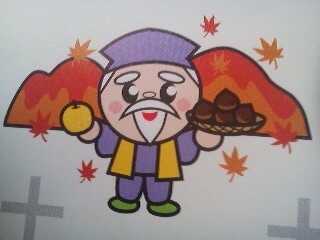 Like a little goateed munchkin, or a Japanese version of one of the seven dwarves, Ibaraki Prefecture`s mascot can be seen on practically anything representing the prefectural government ( as opposed to the owls which represent Tsukuba City). 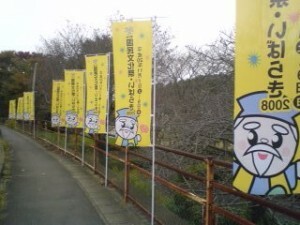 You can find him adorning posters, leaflets, information booklets, newsletters, and on banners fluttering outside Ibaraki`s Prefectural Offices. 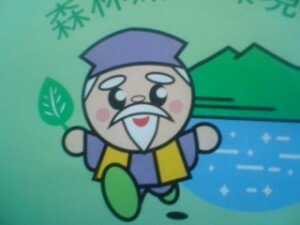 For most Japanese from any part of the country, this cute little character is instantly recognizable as a cartoon rendering of Mito Komon, the hero of one of Japan’s longest running weekly historical TV dramas (jidai geki). And by long running, I DO mean LONG RUNNING, as new episodes have been aired every week for more than 40 years ! As you can imagine, there have been a few cast changes (think of James Bond) over the decades. 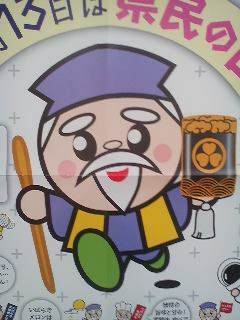 What makes this shrunken down caricature of the great Komon so easily recognizable are his little beard and mustache, as well as purple (or golden) cap and vest (symbols of having reached a venerable old age). The show, which was broadcast during prime time from 1969 to 2011 in a run comprising 1,227 episodes, followed the same basic pattern each episode. 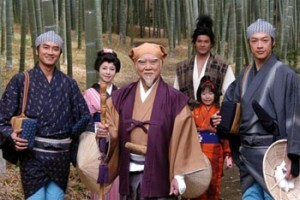 Mito Komon (an affectionate appellation for the 2nd Lord of Mito, Tokugawa Mitsukuni), travels the country incognito, accompanied by his trusty bodyguards Suke and Kaku and assorted others (also undercover). 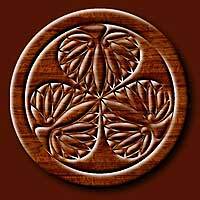 You can be sure that trouble is encountered in every new locale, with the villains’ plans being properly foiled before the great Lord finally reveals his true identity by displaying an INRO (small case) with the Tokugawa Family seal of three-leaved AOI. All the locals then proceed to quiver with awe. Amazingly, this simple formula kept viewers satisfied for decades, and this show is probably what Mito (the capital of Ibaraki) is most famous for, even though the stories take place all over Japan. Though it might be useful to rent a Mito Komon DVD or check it out on utube for gaining a deeper understanding of Japanese popular culture, I think that it is MORE ESSENTIAL to know a little about the historical figure on whom this fictionalized series is based. 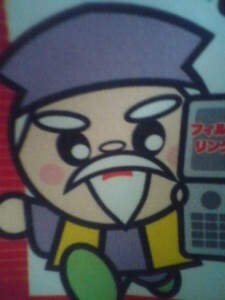 I’m talking about Tokugawa Mitsukuni (1628-1700), a grandson of Ieyasu (the unifier of Japan), who became the second Lord of the Mito Domain, and went on to have a great impact not only on his own domain (now part of Ibaraki) but on the future course of Japan’s history and its dealings with the outside world. This impact was due to Mitsukuni’s sponsorship of a huge and highly ambitious project which employed the services of more than 100 Japanese and Chinese scholars. Their task was to compile a definitive history of Japan, which would be called the Dai-Nihon Shi and would fill 397 volumes by the time of its completion in 1906. This work was first carried out at Mitsukuni’s Edo (Tokyo) residences, but later continued in Mito. Thus, the way of looking at Japanese history which evolved from this undertaking (highly influenced by Chinese historiography) would be called Mito Studies (Mitogaku). 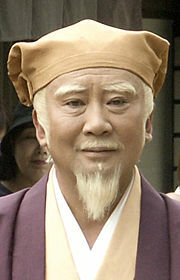 Pointing to the centrality of the role of the Emperor in Japanese history, the Mito Scholars, especially during the times of Mitsukuni`s descendant Tokugawa Nariaki, would lead to the rise of the extreme xenophobia of the Revere The Emperor, Expel The Barbarians (Sonno Joi) Faction, which ironically helped lead to the overthrow of the Tokugawa Family and bring back (?) direct Imperial Rule. I don’t think I have to tell you what road this special brand of nationalism eventually lead to. Besides sponsoring this greatly influential academic project, Mitsukuni became legendary for his wise and benevolent rule of his domain. 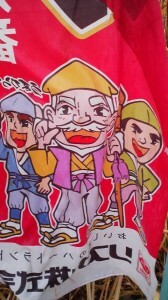 His tax relief and distribution of rice during times of famine was deeply appreciated by the people, and because of this his legend grew after his death. Fictional accounts of his travels around Japan were popular at the end of the 19th century. 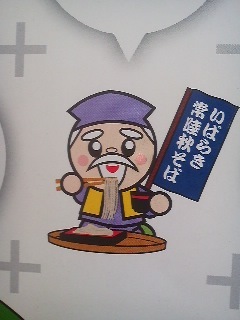 These tales eventually turned into the famous TV series from which derives the Ibaraki prefectural mascot. If you would like to do some Mitsukuni (Mito Komon) related travel, I would highly recommend a trip to SEIZAN-SO in Hitachi Ota in central Ibaraki. This is the great lord’s simple and rustic retirement villa. Beautiful in any season. 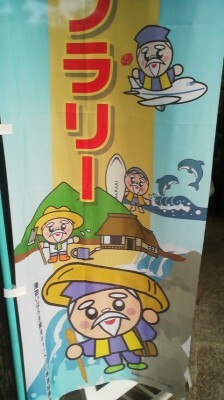 Sadly the production of Mito Komon ended in Dec. 2011. 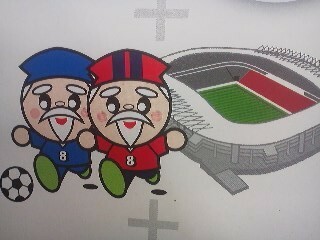 The end of an era, and a great loss to Ibaraki. Still, the mascot should be around for years to come. Keep an eye out for it.